Paramount Theater present their brand new production of the cherished story from P.L Travers, which in turn inspired the classic 1964 Walt Disney film, Mary Poppins features the Sherman brothers original Academy Award-winning songs, with some dazzling new additions, that fit perfectly alongside well loved standards in this imaginative tale of a magical new nanny! With an updated book from Academy Award winner and Downton Abbey scribe Julian Fellows, this enchanting staging was originated by Disney in collaboration with legendary Les Miserables producer Cameron Mackintosh. It went on to take Broadway by storm, winning a Tony and two drama Desk Awards, and played over 2,500 performances to delighted audiences. 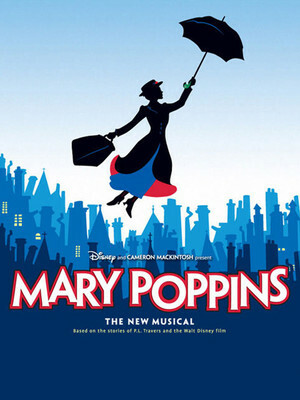 There is so much to love about Mary Poppins and her unique brand of discipline, which immediately enchants the Banks children, who, along with Mary and her hilarious and colorful pals, including Bert the cheeky chimney sweep, learn to value themselves and show their parents what it means to be a family. For all ages, the whole family will fall in love with Mary, whether it's the first time, or all over again! Please note, images used are from the Broadway production. This is a local production of Disney and Cameron Mackintosh's Mary Poppins and not the tour. 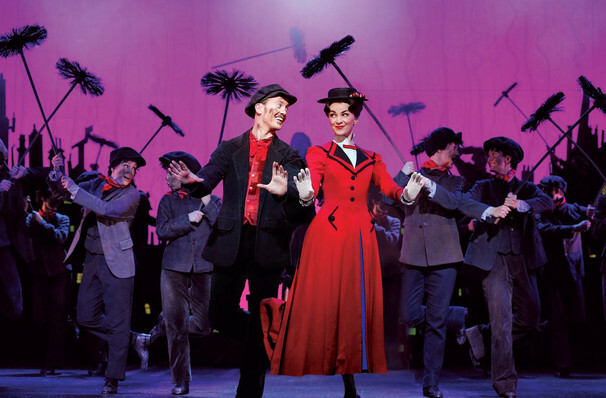 Seen Mary Poppins? Loved it? Hated it? Help your fellow Aurora Theater visitors by leaving the first review! Sound good to you? Share this page on social media and let your friends know about Mary Poppins at Paramount Theatre. Please note: The term Paramount Theatre and/or Mary Poppins as well as all associated graphics, logos, and/or other trademarks, tradenames or copyrights are the property of the Paramount Theatre and/or Mary Poppins and are used herein for factual descriptive purposes only. We are in no way associated with or authorized by the Paramount Theatre and/or Mary Poppins and neither that entity nor any of its affiliates have licensed or endorsed us to sell tickets, goods and or services in conjunction with their events.